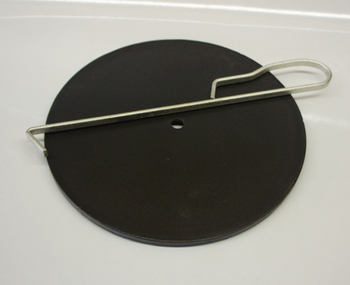 Hunter Cast Iron Lid Insert with Hook Handle. 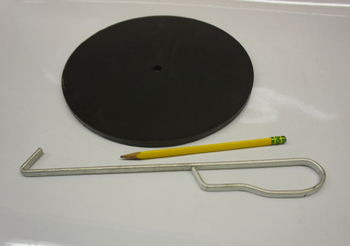 Cast iron plate insert and handle for Hunter stove (8 & 7/8" diameter). 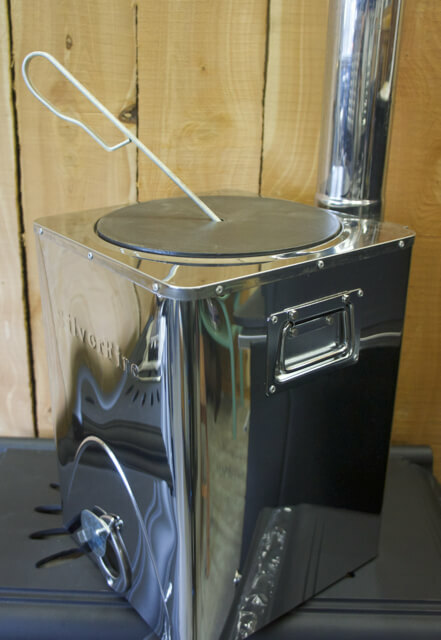 This insert can be used in emergency basis to retain or provide heat (thermal mass) for Hunter chimney stove. It also can reduce soot on pots when used as heat transfer platform below cookware for simmering or lower firepower cooking. Handle to remove cast iron plate provided.